I’ll be posting lots of pics from my wedding (courtesy of Christine Han Photography) but also sharing how my wedding came together. While researching weddings online and asking couples I know, I realized that couples have their opinions on what the most important parts of a wedding are and who should be involved. I was lucky to be surrounded by girlfriends that have recently married and that knew me and my likes and dislikes. All in all, I had 2 Matrons of Honor, 3 Bridesmaids, 2 Jr. Bridesmaids, and 2 Flowergirls. My husband had 1 Best man and 5 Groomsmen. We opted for a huge wedding party but had 80 guests at our reception. We were able to interact with our guests and engage in our ceremony and reception more intimately. 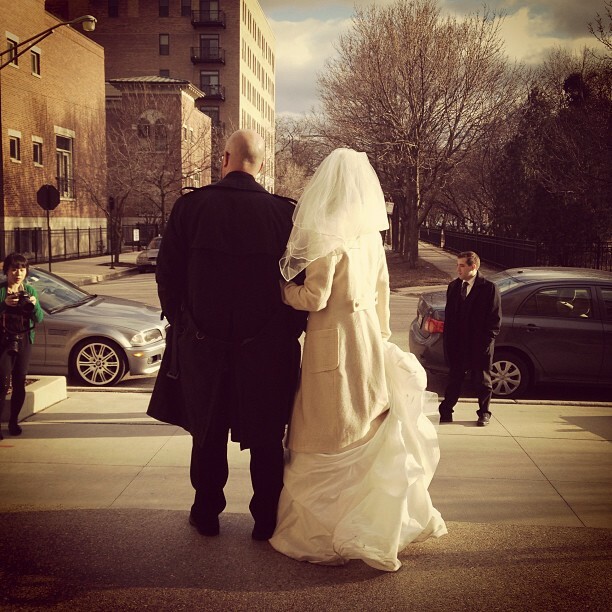 The first on my list of wedding to-do’s…. Choosing a venue. We had no doubt in our minds that we wanted a restaurant and we definitely wanted somewhere in Downtown Chicago. I made 2 phone calls, Maggiano’s Little Italy and Osteria Via Stato. Both had great wedding packages but ultimately we chose Osteria. This was proven to be a excellent choice because after the wedding, many of our guests commented on the wonderful service and meal. After we chose the venue, my wedding list of to do’s increased. It was December and formalities of mailing invitations 8 weeks before the wedding was coming near. I researched online and in stores but realized 50 invitations could cost hundreds of dollars. 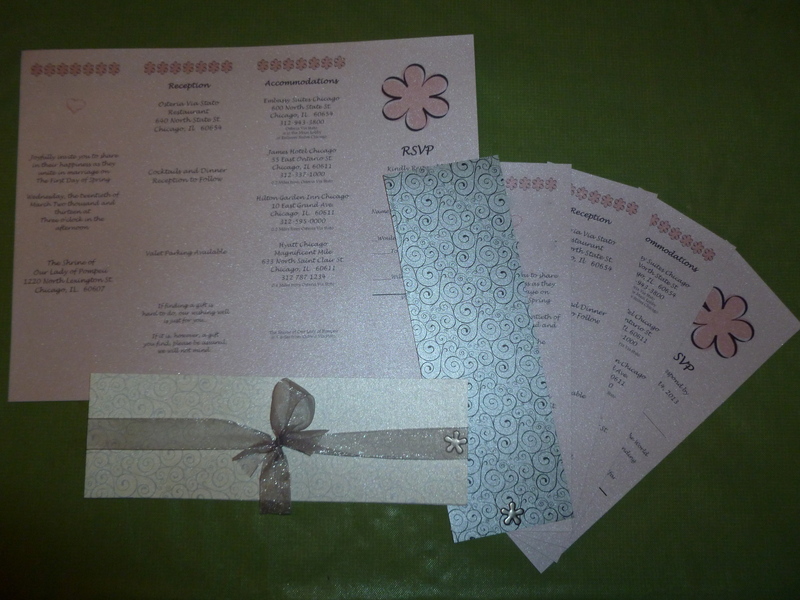 I set my eyes on matchbook invites from Etsy and Pinterest. The costs were still out of my budget of $100, yes, $100. At this point, I decided on my very first wedding DIY. I made 40 invites total. Each invite taking up one full page on glittery pink cardstock paper and 2 different size envelopes, one for the RSVP and a larger for the whole invitation. In addition, 2 stamps totaling 65 cents were needed. I put it all together with brads and a ribbon to finish it off. I stayed well beneath my budget and put the extra funds elsewhere.